With the release of Divine Dreams Video Slot, Quickspin is transporting players at the heart of an Indonesian forest to meet the Goddess of Wealth and prosperity! In fact, Divine Dreams may have a gentle look about it, with its lotus flowers and pink elephants. However, we assure you that this game even if Zen on appearance will definitely get your blood pumping and for 3 simple reasons. First, because this slot has one of the biggest max wins we’ve ever seen coming out of this studio. Indeed, lucky players will have the chance to pocket 7200x their stake. Second, because this slot has a guaranteed multiplier in every spin in the base game and the Free Spins bonus too. And finally, Divine Dreams will give you an adrenaline rush with its 243 ways to win and multiple features we’ve described into more details below. Bonuses & features: Free Spins, Re-Spins, Extra Wilds and Multipliers. Highest-paying symbol: 5 Pink elephant symbols reward you with 15x your stake. Suitable for: Everyday pleasure seekers, Daredevils, and High Rollers. When loading Divine Dreams video slot, you’ll notice an extra reel with multipliers on the right-hand side of the game interface. Plus, it’s worth knowing that the multiplier reel will spin every time you hit the orange spin button. What’s more is that randomly, you’ll also see features on this reel. The features include the Ying Yang Wild, the Super ReSpin and the Mega ReSpin. In essence, the Ying Yang Wild will give you 2 extra wilds and a random multiplier. The Super ReSpin and the Mega ReSpin, on the other hand, will also give you extra wild symbols anywhere on the reels. What’s more is that these features will give you a chance to Re-Spin the multiplier reel and you’ll have access to even bigger multipliers this time, up to 30x! You’ll activate up to 20 Free Spins when 3 or more Goddess of Wealth and prosperity heads appear on the reels. To sum up, 3 Goddess symbols will give you 8 Free rounds, 4 will trigger 12 Free Spins. And finally, you’ll play 20 Free rounds when 5 Goddess heads appear on the reels simultaneously. During the Free Spins feature, you’ll have the chance to win even more Free rounds. In fact, the multiplier reel can reward you with 3 extra spins multiple times. As for all QuickSpin slot, Divine Dreams too is exceptionally well conceptualised. In fact, both the graphic elements and the mechanics work extremely well together to make this an engaging video slot. 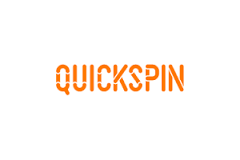 All and all, this is the first Quickspin release of 2019. And if this game is any indication of what’s to come in the new year, well, hang on tight! 2019 may just be the best year of releases by the Playtech subsidiary game studio! But don’t take our word for it, try it yourself at any casinos listed on this site and escape in a world filled with huge winning opportunities. And while you’re here make sure to visit our bonus section to check out the latest deals our team negotiated for you.